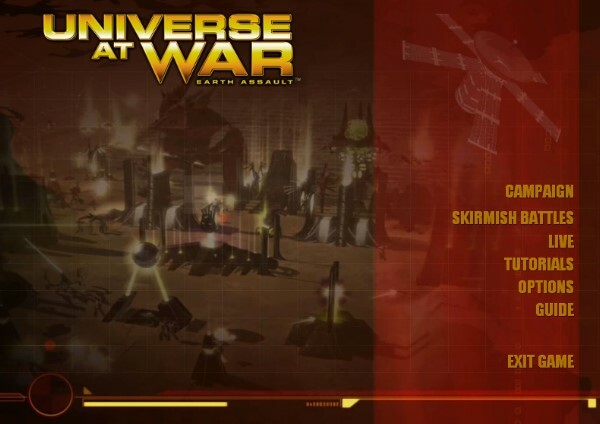 Universe at War: Earth Assault, begins in the year 2012 when an alien race known as the Hierarchy lands on Earth to strip-mine the planet. 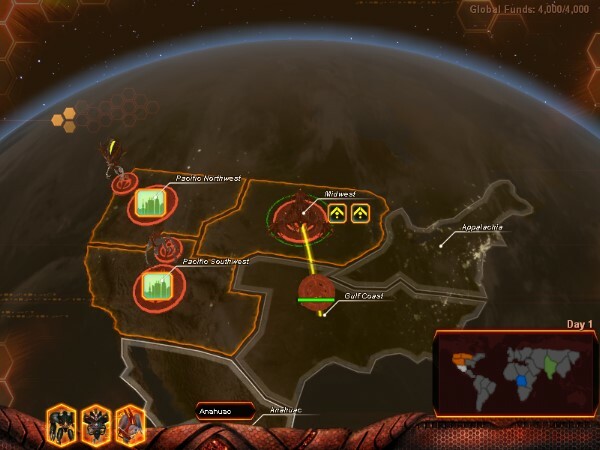 Before their landing, observatories and scientists on Earth gave warning of aliens but the human race as a whole is not able to organize a unified military front against the alien forces. Because the Hierarchy has vast military experience from invading and destroying other planets in the universe, the human race is not able to withstand their forces. 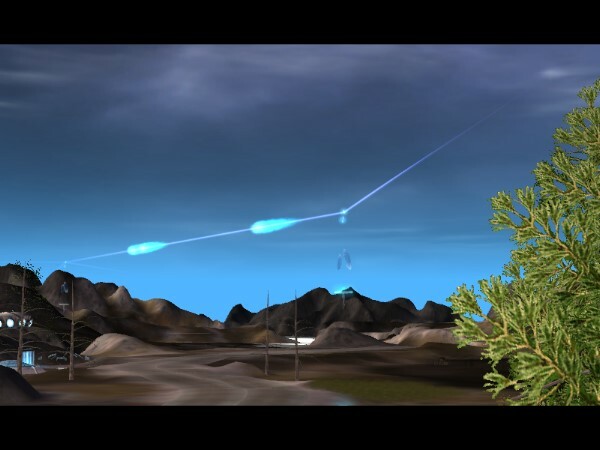 When the Novus arrive on Earth, they expect humanity to be extinct and earth's surface strip-mined, in accordance with Hierarchy standard operating procedure. However, the Novus find Earth mostly intact and the human military not yet entirely wiped out. Humanity owes its continued survival to the fact that Kamal Re'x the Abductor, the overseer in charge of the Hierarchy's Earth invasion, has held back the bulk of his forces to lure the Novus into a trap. Kamal Re'x hopes to earn a promotion by wiping out the Novus expeditionary force. When the Novus arrive, Hierarchy forces are still fighting, and the Novus hope to achieve victory by engaging the vastly superior numbers of the Hierarchy in small groups. Meanwhile, the Hierarchy has unwittingly tripped an ancient alarm in the Egyptian pyramids, and the Masari, asleep beneath the Earth's oceans, are beginning to waken. The Masari, once a galactic superpower, saved the race that were to become the Hierarchy from extinction by giving them advanced technology. 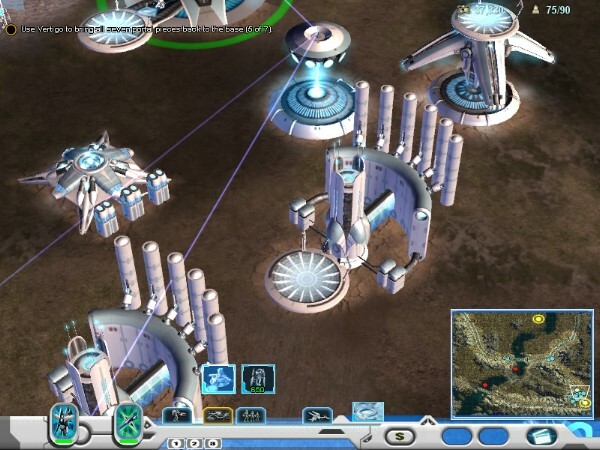 The Hierarchy responded by using this technology to wipe out the Masari and usurp their position in the galaxy. The remnant of the Masari empire fled to Earth, where they contributed to the construction of the Egyptian and Mayan pyramids, the myth of Atlantis (the Masari's mother ship doubled as their capital city which sank beneath the waves when the Masari entered their long slumber), and the Biblical stories of angels and demons (probably based on the light/dark modes of the winged Masari Inquisitors and Skylords). The Masari are furious when they finally awaken not only to find their enemy the Hierarchy present of Earth, but the once beautiful planet polluted by the humans and 'infested' with sentient machines. As such, the Masari have no allegiance and are prepared to destroy any and all of the other factions to reap revenge on those who destroyed their civilization and their adopted home.